NEW! FRONT: "For there is hope even for a tree. 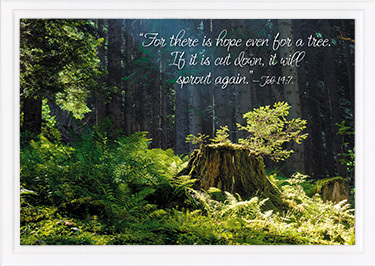 If it is cut down, it will sprout again. "-Job 14:7. 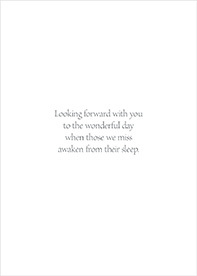 INSIDE: Looking forward with you to the wonderful day when those we miss awaken from their sleep. An attractive embossed white border nicely frames the high-gloss UV coated picture on the front. Size: 5" x 7" folded.